A laundry room is at your disposal within the lodge should you need to do a load or two. We have a high definition, big screen TV with satellite service for your leisure time. 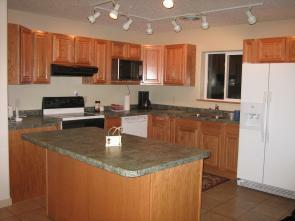 Fully furnished kitchen, including a dishwasher, coffeemaker, toaster and other handy necessities. One full bathroom accommodates each wing of six rooms. 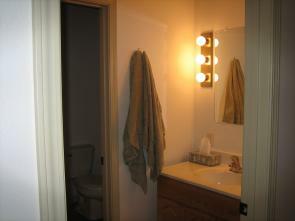 Both bathrooms are two rooms with dressing and wash areas separate from the shower and toilet area. We can accommodate a few campers or motor homes at our location; however, there is a camping area in conjunction with the resort less than 1/4 mile away. Select Elm Lake Lodge, L.L.C. 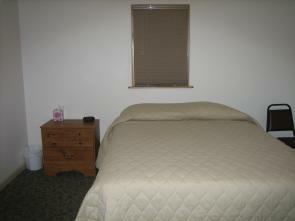 for the perfect South Dakota family reunion or business retreat in South Dakota. 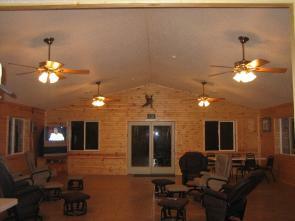 This South Dakota hunting lodge is the premier lodge of the area. A pheasant hunter likes to relax after a long day hunting and this is the perfect environment. If you are pheasant hunting in North Dakota, this lodge is only two miles from the border and has some of the best hunting in North Dakota. Make your experience perfect by staying at the best lodge in the area.